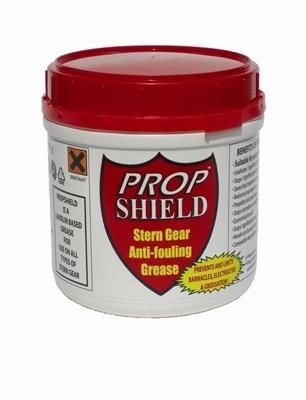 Prevent the growth of barnacles on propellers and stern gear by using Propshield Grease, a especially manufactured marine product which also provides protection from corrosion and stops electrolysis and oxidisation. Protects for up to 12 months. Also suitable for use on prop shafts, rudders, P brackets, trim tabs, outdrives, saildrives, outboards. Use on Bronze, stainless steel, aluminium and painted surfaces. Click here to check out some fantastic before and after shots of Propshield at its best.